GPS - National Crk Falls, 1.18km el. 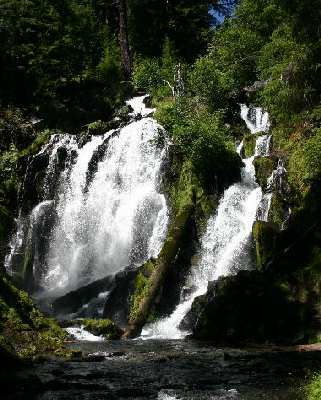 National Creek Falls is south of Diamond Lake. National Creek Falls sign and a county line sign). In another 2.4 miles turn right at the sign for National Creek Falls. Parking area is one-tenth of a mile down the gravel road. Trail to falls is about half a mile with switchbacks.